In October 1997, Queen Elizabeth II and her husband Prince Philip, the Duke of Edinburg, stepped foot in Amritsar, and stood bareheaded, and barefoot before the Flame of Liberty memorial at Jallianwala Bagh. There were protests brewing in the city of Amritsar outside, people chanting slogans "Queen, go back." The plaque at the memorial site read "This place is saturated with the blood of about two thousand Hindus, Sikhs and Muslims who were martyred in a non-violent struggle". And Prince Philip's comment on the same has gone in history as yet another instance of British arrogance. The Duke of Edinburgh was not willing to be humbled before a monument to the murderous brutality of British colonialism. "That's a bit exaggerated", was the Duke's reaction, who then asserted that he had learnt about the killings from General Dyer's son, the very same General who had ordered his troops to open fire on the crowd of non-violent protesters and pilgrims at the Jallianwala Bagh, in 1919. 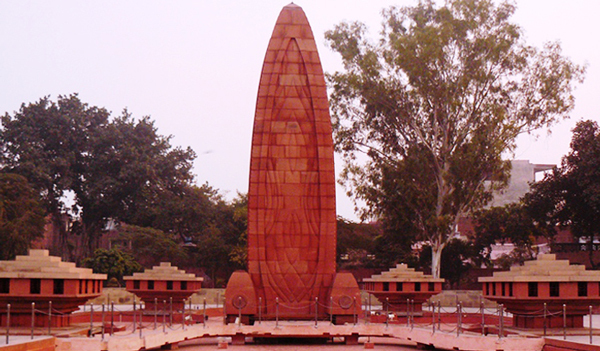 The Jallianwala Bagh Massacre, also known as the Amritsar Massacre, took place on 13 April 1919 when a crowd of non-violent protesters, along with Baishakhi pilgrims, who had gathered in Jallianwala Bagh, Amritsar, Punjab, were fired upon by troops of the British Indian Army under the command of Colonel Reginald Dyer. The civilians had assembled to participate in the annual Baisakhi celebrations - both a religious and cultural festival for the Punjabis. Coming from outside the city, they may have been unaware of the martial law that had been imposed. The Bagh-space was walled on all sides with five entrances. On Dyer's orders, his troops fired on the crowd for 10 minutes, directing their bullets largely towards the few open gates through which people were trying to flee. The British government released figures stating 379 dead and 1,200 wounded. It was in 2013, that for the very first time, a British Prime Minister voiced regret over the horrific events that unfolded at Jallianwala Bagh. "This was a deeply shameful act in British history, one that Winston Churchill rightly described at that time as 'monstrous'", Mr Cameron wrote in the visitors' book at the memorial site, on his visit to Amritsar in 2013. Cut to 2016, the entire nation is abuzz with Prince William and Kate Middleton's trip to India. From taking to the cricket pitch with Sachin Tendulkar to dining with the creme de la creme of Bollywood, the royal couple seems to have won over Indian hearts with their grace. On 11 April, the royal couple visited the India Gate in the National Capital to pay homage to the martyrs at Amar Jawan Jyoti - the structure burning with an eternal flame to commemorate Indian soldiers killed in the defence of their country. 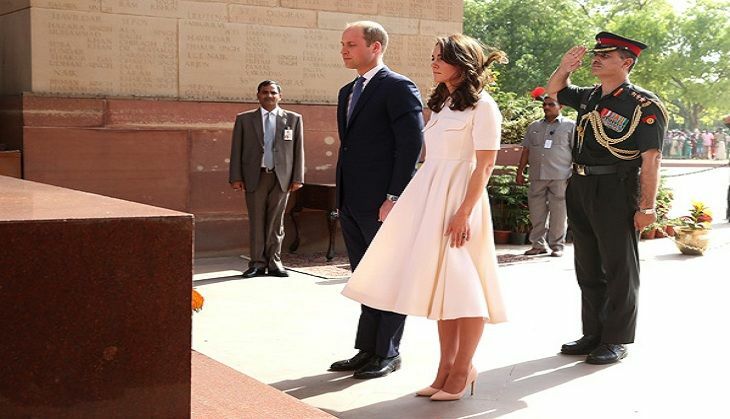 But, on the eve of the massacre that went down in history as one of the most horrific instances of mass murder, it was the memorial site at the Jallianwala Bagh that the Duke and Duchess of Cambridge should not have given a miss.